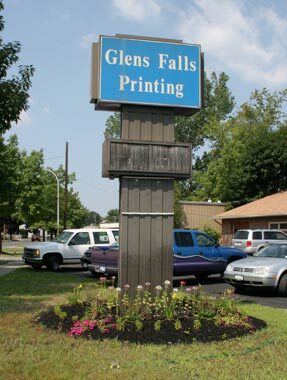 Founded in 1966, Glens Falls Printing has been serving the local community for over 50 years. We offer full service printing, typesetting and design, and a wide range of printing options. We are #1 in customer service! Our business is tied to the surrounding, local community and we value each and every customer. • and nearly anything else you can print your name on! Our staff has over 100 years in combined experience in the printing industry. We value our customers and no matter how large or small the job, it will receive first class, top priority treatment. Customers will get a product that is completely tailored to them. We will help you get the vision you have in your mind onto the paper. Using our experience and top of the line technology, we can help make the desired product everything you were expecting and more! Come in and see what we can help you with.